Goats were among the earliest animals to be domesticated, dating back at least 10,000 years. The Anglo-Nubian goat is a large goat with a Roman nose and pendulous ears that hang low and close to the head. Anglo-Nubian goats are most often black, red, or tan. The Anglo-Nubian goat – or simply Nubian goat, as it is called in the United States – is a breed of Capra hircus, the domestic goat. Capra hircus is descended mainly from Capra aegagrus, the wild goat of Near East Asia. The Nubian breed of domestic goat was developed in England during the 19th century by crossing native stock with goats from India and North Africa. European settlers first brought goats to the Americas to provide meat and milk. Nubian goats most likely came to the United States from England, where the breed was developed. Nubian goats are multi-purpose animals bred for milk, meat, and hides. They don’t produce an especially large volume of milk, but their milk is higher in butterfat and more flavorful than that of other breeds. It is good for making cheese. 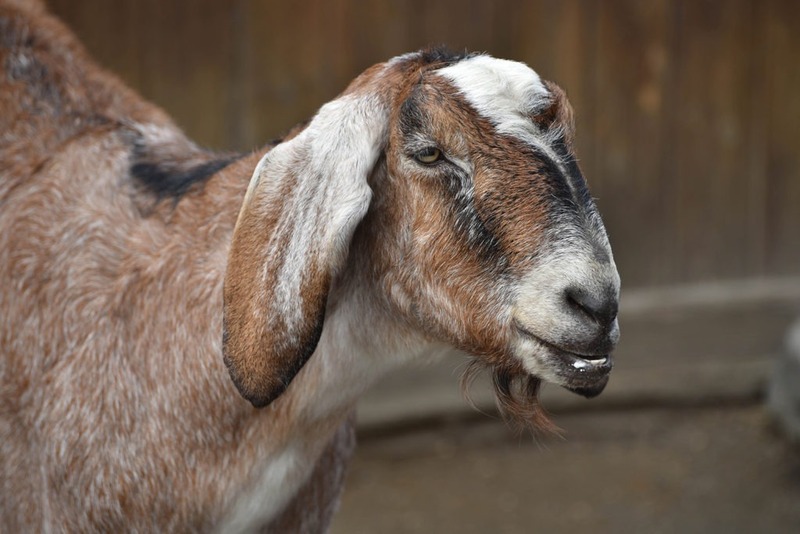 Because their breeding season is longer than that of most dairy goats, Nubian goats can produce milk almost year-round. They are particularly tolerant of arid, hot conditions. Nubian goats are a common domesticated breed and are popular in the United States. Barloy, J.J. Man and Animal, pp.65-8.